On 27th March 2018 Yunus Emre Enstitusu has hosted another spectacular concert that brought Maqam music whic is the most significant junction of the musical path between two great cultural cities of the east, Kashgar and Istanbul. 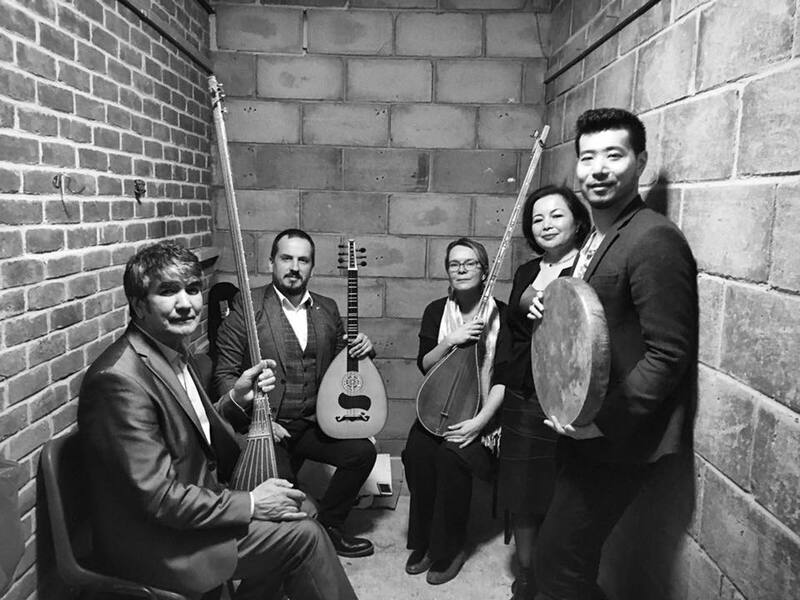 The concert aimed to emphasize the similarities of Uyghur and Turkish Maqam repertoires in the most appealing way and in doing so, to convey the broad geographical spread of Turkic world music and the historical depth to the audience. The orchestra formed of 5 talented artists played and sang numerous popular songs that fascinated the large audience. Dr. Erdem Ozdemir completed his phD on Uyghur music and has performed numerous concerts in Turkey and played the Bağlama. The singer of the concert was Rahima Mahmut who is the co – founder of the London Uyghur Esemble in London. She sang popular songs such as; Sarıkamış Ağıdı, Asker Oldum Giydim Yelek and Şu Kışlanın Kapısına. Rachel Harris played the Dutar and teaches ethnomusicology at SOAS University. Her research focuses on the music of the Uygurs and has spent long periods in the Uygur region where she learned the Dutar instrument. Nizamidin Sametov played the Tambur and learned to play several instruments from the Uygur tradition from senior musicians in Kyrgyzstan. Finally, Iskandar Ding who played the frame drum and is currently studying the Kashgar, Rubab and Uzbek Dutar. The audiences joined the singing througout the performance.